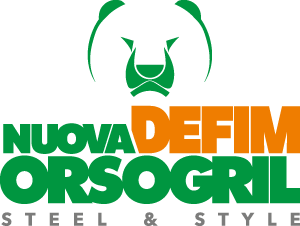 Nuova Defim Orsogril is a leading welded mesh manufacturer for countless industrial applications in various sectors and for different scopes. The offer includes both standard panels (made by self-colour, hot-dip galvanized and stainless steel wire) and tailored welded mesh which use is increasingly growing in both industrial and building sectors. Due to the in house fleet of modern machinery, the Company respond quickly and easily to the growing market demands; the structure is organized to manufacture big projects using automatic equipment and small lots of meshes with less-automated welding lines. Working in closer partnership with its customers, Nuova Defim supports their production processes with the supply of semi-finished goods, realized according to product specifications.